The questions listed below are the most frequently asked about our limited diagnostic Prenatal Ultrasound packages. Should you have any other questions, please feel free to call us at (281) 999-0003 or send an email to info@BabySteps4D.com. What is a limited diagnostic prenatal ultrasound? We offer limited diagnostic live-motion 4D ultrasound. The ultrasound used in this exam is not performed to better assess the baby for abnormalities. A routine diagnostic examination should have already been performed to assess the gestational age of the fetus and for screening of genetic disorders and fetal anomalies. Does this replace the ultrasound at my doctor's office? We include a limited diagnostic scan to confirm the gender, number of babies, baby's presentation, placental location and measure the heart rate. �Please note, at no time is this exam to be used in place of a complete diagnostic ultrasound. Is it safe? Are there any risks to me, or my baby? Extensive studies over 35 years have found that ultrasound has not been shown to cause any maternal or fetal harm.� Routine diagnostic scanning of all pregnancies is now a normal procedure.�3D/4D scans use EXACTLY the same type and intensity of ultrasonic waves as in conventional 2D scan. The combination of increased data gathering (listening) by the transducer and software interpretation after data acquisition creates these amazing 3D 4D images and not a higher intensity, frequency or �power' output.� Our guidelines dictate the systems to be used in the Obstetric Application Mode.� This mode is capped by the manufacturer (GE) below the FDA limits (94 milliwatts/cm2) for exposure.� In fact, the system takes simultaneous 2D scans in saggital, coronal and transverse planes and the software renders the 3D 4D images. It's that simple! We provide forms to mothers and physicians/midwives with clear written statements of the services offered at Baby Steps 3D and 4D Ultrasound.� We highly recommend that parents discuss with their doctor about any safety concern on 3D 4D ultrasound. Published studies on ultrasounds can be reviewed below on Dr. Joseph Woo's world renowned website, a highly respected source of information on maternal-fetal medicine. What kind of ultrasound equipment do you use to perform the 3D 4D ultrasound? We use the state-of-the-art technology � the GE Voluson 730�. This GE system has been shown in TV commercials and featured in many articles from around the world. It is THE machine to perform 4D live-motion ultrasound.� Please note, many centers claim to use "state-of-the-art" equipment, when in fact they use older, inferior technology or do software upgrades for 4D configuration. This compromises the quality of images.� Unquestionably, it's the machine that makes the biggest difference in 4D technology. So insist on a GE system. Do I need an appointment for 3D sonogram? Yes, appointments are necessary for all of our services.� For weekend and evening appointments, we encourage you to schedule well in advance. How long does the 3D 4D prenatal ultrasound session take? Depending on the package you choose, the session will last between 10 and 30 minutes. However, we require 15 minutes for registration/eligibility and 15 minutes after the scan for printing pictures and formatting the DVD/CD. How far along should I be before I have a 4D sonogram? If you plan on having only one session, we recommend having the exam performed between 24 and 34 weeks.� However, excellent images can be obtained from 18 to 38 weeks.� For twins, we recommend scans before 30 weeks. Will I always get beautiful 3D pregnancy pictures? In most cases you will.� Sometimes if the baby's position is face down, i.e., towards your spine, it may be difficult to see the baby's face.� In this case, a complimentary rescan will be scheduled .� However, the scan images may not be similar to those you saw elsewhere or even from our center.� Every baby scans differently, depending on the gestational age, position, amount of fluid, placental location and mother's body habitus.� However, we promise to make every effort to obtain the best images. Can I bring family and friends for the 3D baby ultrasound session? Yes. In fact, we encourage you to invite family (including siblings) and friends to attend.� This is a wonderful and educational experience that will linger in your memories for a lifetime. For those family members and friends who can't accompany you to your ultrasound, we now offer our exciting new Sonostream LIVE technology whereby they can watch your ultrasound session live, in real-time over the internet from the comfort of their home or office! Click here to learn more about Sonostream LIVE! Can you determine the gender during 4D baby ultrasound? 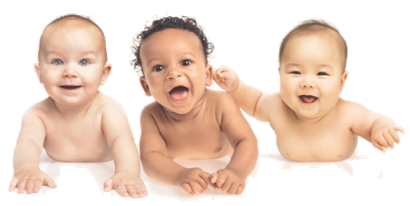 Yes, in almost all cases we provide confirmation of your baby's gender (only if requested).� However, if the baby is uncooperative during the session and we are unable to confirm gender ID, we schedule a complimentary repeat scan for a later date. Does Insurance cover the 3D pregnancy ultrasound procedure? How much does it cost to receive the 4D pregnancy pictures? Baby Steps 3D Ultrasound and 4D Ultrasound is located in Houston, Texas and proudly offers 3D and 4D ultrasounds in Houston and surrounding communities of The Woodlands, Kingwood and Humble. Please note that our 3D ultrasounds and 4D ultrasounds can only be performed on pregnant women who are under the care of a physician. Baby Steps 3D and 4D Ultrasound requires direct written authorization from a healthcare provider prior to the performance of any ultrasound procedure.